Legislator Francis X. Becker recently joined with County Executive Ed Mangano to announce an overhaul to the property tax assessment system. 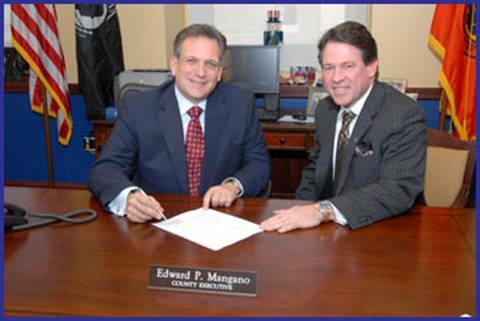 Both Becker and Mangano fulfilled promises to reform the previous system, which cost the County $100-250 million annually. The plan for the new tax assessment system freezes property assessments for four years. However, homeowners can still grieve their assessments yearly to take advantage of reductions and account for improvements. The new system will bring predictability and stability to household taxes, and allow the county to reduce its debt from household assessments.